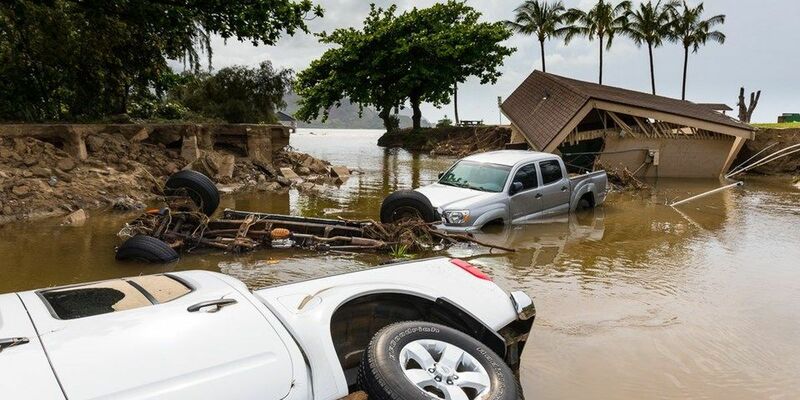 HANALEI, KAUAI (HawaiiNewsNow) - It’s official: The torrential rain that devastated parts of Kauai in April last year now holds the new national record for the most rainfall in a 24-hour period. That’s according to National Weather Service officials, who confirmed Wednesday that Waipa Garden on Kauai broke the record. The National Climate Extremes Committee validated the initial rain gauge data indicating that the area received 49.69 inches of rain in the 24-hour period between April 14 and April 15. The amount breaks the previous record of 43 inches in Alvin, Texas in July 1979. The heavy rain event in 2018 triggered widespread flooding and damage to communities like Hanalei and Wainiha, shattering previous records for those north shore locations.